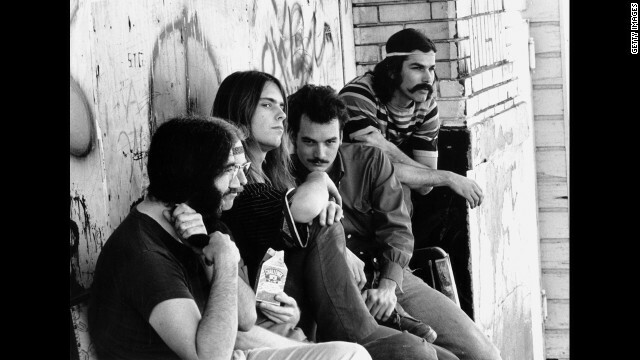 The Grateful Dead in the 1960s. The band has amassed a vast archive of recordings of its live performances. • This week marks 30 years since Michael Jackson's "Thriller" album was released. Out in late 1982, by January the next year, it already was a platinum-selling album (that means it sold over one million copies). "Thriller" ultimately sold over 50 million copies worldwide and has seven Top 10 singles. That album and its song, "Billie Jean," resulted in Jackson becoming the first artist to have a number one pop single, pop album, R&B single and R&B album simultaneously. "Thriller" remains the all-time best selling album in the record industry. Check out ThrillerCast on iTunes. It's a whole series of podcasts devoted to Michael Jackson's "Thriller" and the influence it's had on various artists. Be sure to listen to the one featuring "Thriller" producer, Quincy Jones. • On Friday, singer Glen Campbell will give his very last concert in Napa, California. The 77-year old singer and songwriter is concluding his multi-city "Goodbye Tour." Campbell has a slew of hit songs, like "Rhinestone Cowboy," "Gentle on my Mind," and "Wichita Lineman." In 2008, Campbell released, "Meet Glen Campbell," an album in which he covered the songs of others, including U2 and the Foo Fighters. We list a few profiles of Campbell below. Check them out and you'll hear how Campbell helped make hit songs not just for himself but for other artists as well. There's also this review of his album, "Ghost on the Canvas," from 2010. We'll let Radiohead take us out, with their cover of Campbell's "Rhinestone Cowboy."